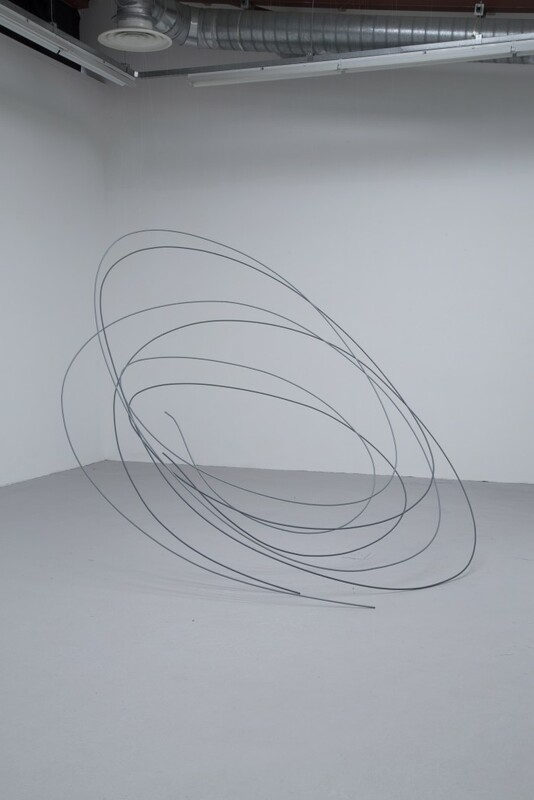 Exhibited as part of the 2017 Burren Annual, July saw the Burren College of Art hosting an exhibition of sculpture and video work by Chicago-based artist Susan Giles. 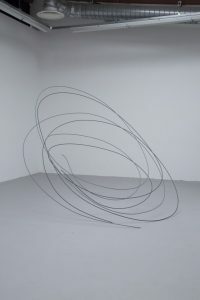 The main gallery is given over to three large graphical forms and a video piece which depicts the tracery of the sculptural work as it ha s come to be made – generated in response to Newtown Castle itself. 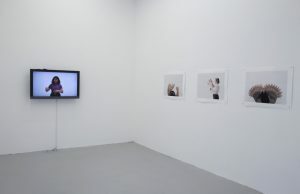 A smaller room hosts more recording with archival inkjet prints supporting the space. In turn, three women describe some of Chicago’s lesser-known civic buildings – themselves former libraries and monuments. 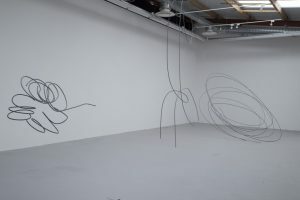 The smaller room houses more video and a triad of prints which delicately depict the stop-motion flow of the speaker’s hands as seen from above. When asked about the link between the two projects Giles says ‘one of the things that bridges the two bodies of work is that architecture, like monuments or landmarks, communicate power and ideology about place. I’m interested in the way that individuals respond to and participate in that. Part of that is through the stories we tell.’ The hand gestures are once more inscribed on the screen as the participants gesticulate their spoken descriptions of the Chicago Cultural Centre, T.B. Blackstone Memorial Library and the Harold Washington Library. The nuance of their non-verbal communication becomes more apparent with this tracery in place – the tilt of the head as one recollects, the pursing of lips and inhalation as another tries to produce accurate phrasal-built construct. The negative space of the figures of the speakers as their arms and hands reach out in front of the white screen becomes a contributor itself – their bodies are as much a compass as their voices.